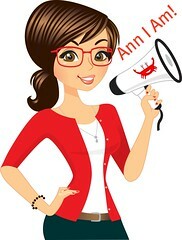 Disclosure: This blog post is part of a paid SocialMoms and Paramount Pictures blogging program. The opinions and ideas expressed here are my own. Transformer toys were before my time (okay, I just really dated myself) but I remember babysitting my sisters kids and they had them. I thought they were the coolest thing. I immediately could see the fascination in these toys, and later the movies. They strike up one’s imagination to all new levels. I still remember playing with my nephew and how much fun we would have. And then I remember searching for a new Transformer toy for his birthday. The look on his face when he opened it! He absolutely loved it and played with it for hours. I wish Transformer toys had been around when I was a child. Later came the Transformer movies. First there was Transformers in 2007, then Transformers: Revenge of the Fallen in 2009 and then in 2011 was the third movie, Transformers: Dark of the Moon. Reportedly, director Michael Bay said that would be the final movie at the time. But fortunately for Transformer fans, it wasn’t the last. This week, a new Transformers movie is to be released. It will be in theaters everywhere starting this Friday, June 27, 2014. 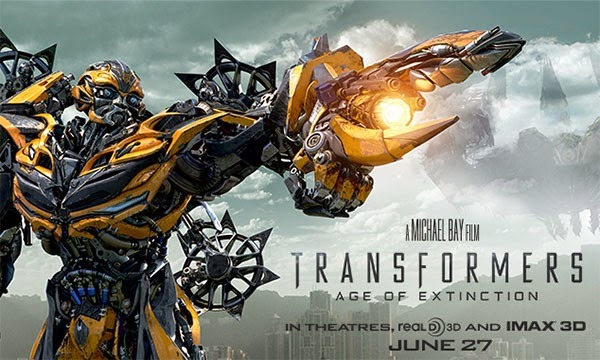 Transformers: Age of Extinction begins out following a huge battle that saved the world, but left a great city torn. As they start to rebuild, an ominous group wants to gain control, all while an ancient powerful threat has Earth in the midst. A human cast (led by Mark Wahlberg) along with Optimus Prime and the Autobots rise up to ward off this enemy. Ultimately, this battle between good and evil if fought out, with the world at stake. This is the fourth film in director Michael Bay’s global blockbuster franchise. Mark Wahlberg, Stanley Tucci, Li Bingbing , Kelsey Grammer, Sophia Myles, T. J. Miller, Nicola Peltz, Jack Reynor and Titus Welliver star. This movie is rated PG-13 for intense sequences of sci-fi violence and action, language and brief innuendo.